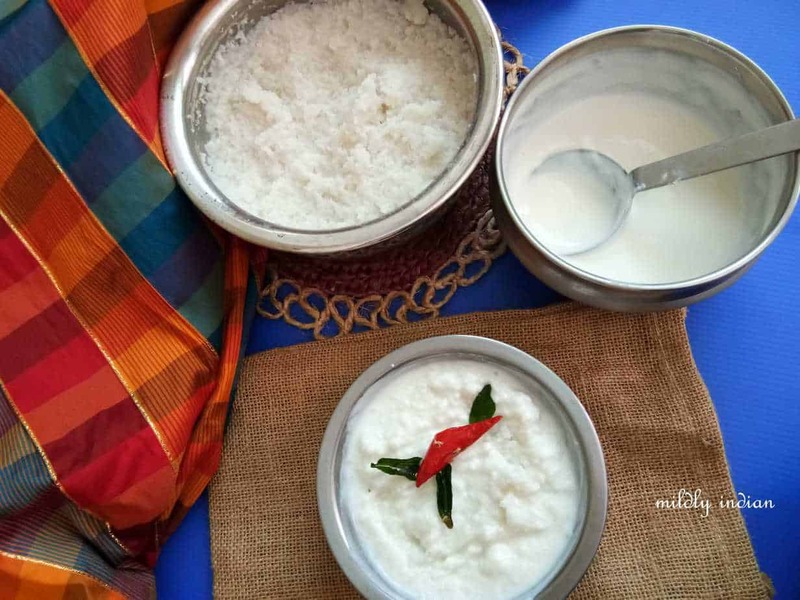 Varagu thair saadam- kodomillet in yogurt. With the festive season in one of the biggest fears of eating is… Binge eating. All the yummy sugar dipped sweets and deep fried savories load up unseen calories… And before you know… You are up by a few kilos. Thankfully in between the festivals are a few days.. I rely on millets for these days. Its really filling to eat the millet based recipes. Somehow I do feel it keeps hunger away better than regular rice. 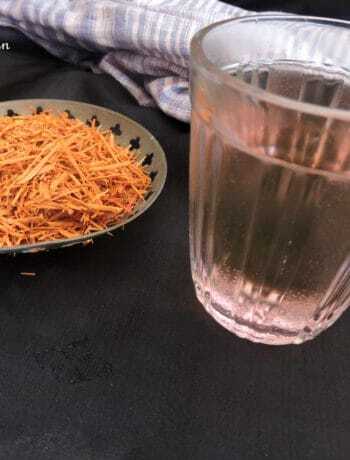 Varagu or kodomillet is called Kodra, Arikelu or Koovaragu is is high in fibre. 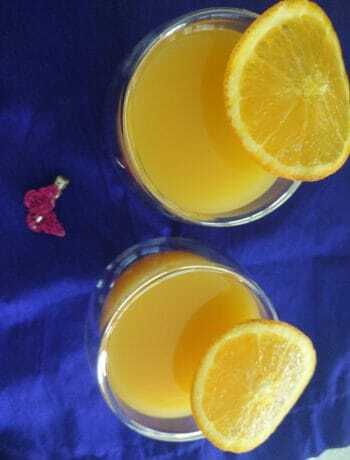 It is considered great for diabetics. 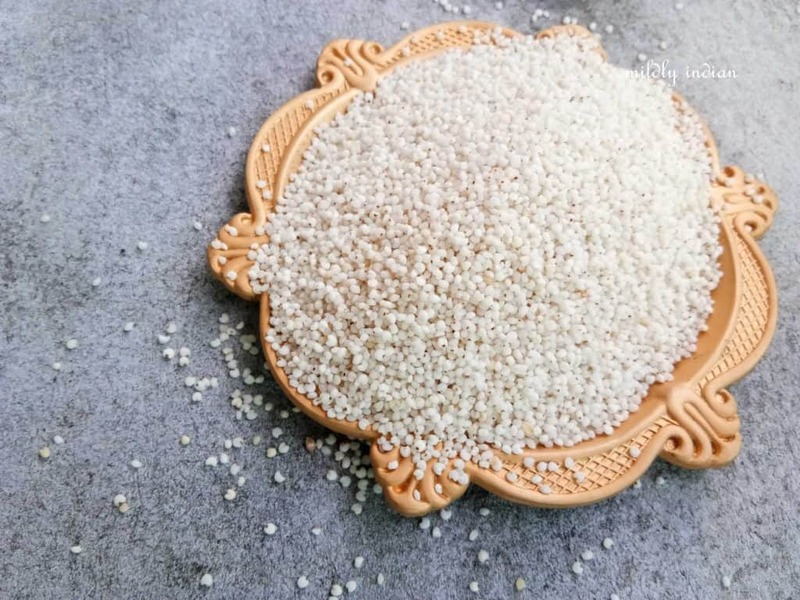 One of the most useful posts I refer to when using millets is the one from Indian Khana, I am leaving the link for the same for your reference too. 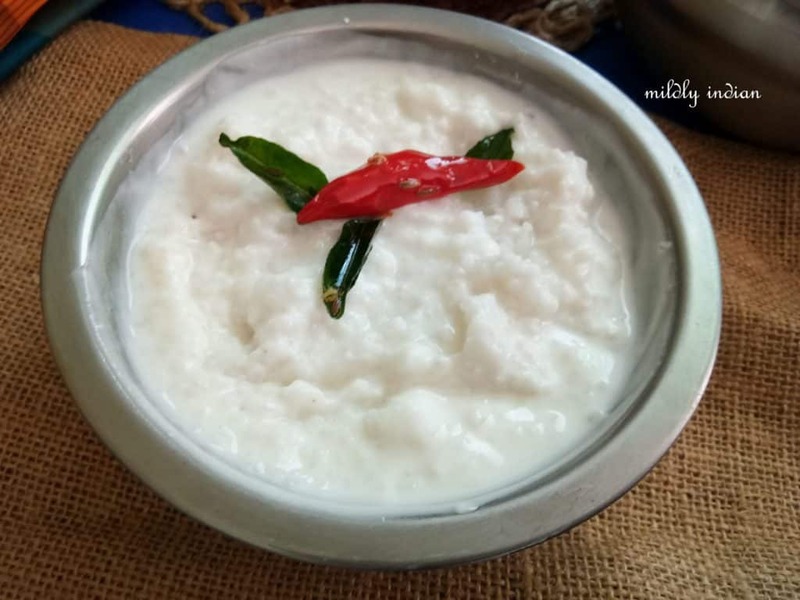 One of my very good childhood friend always had a box of curd rice for lunch with a piece of “naarthangai ” (pickled and dried citron). Since yogurt and me were miles away (we are working on mutual understanding and nutrition bonds currently) I never fancied a dig in her bowl. 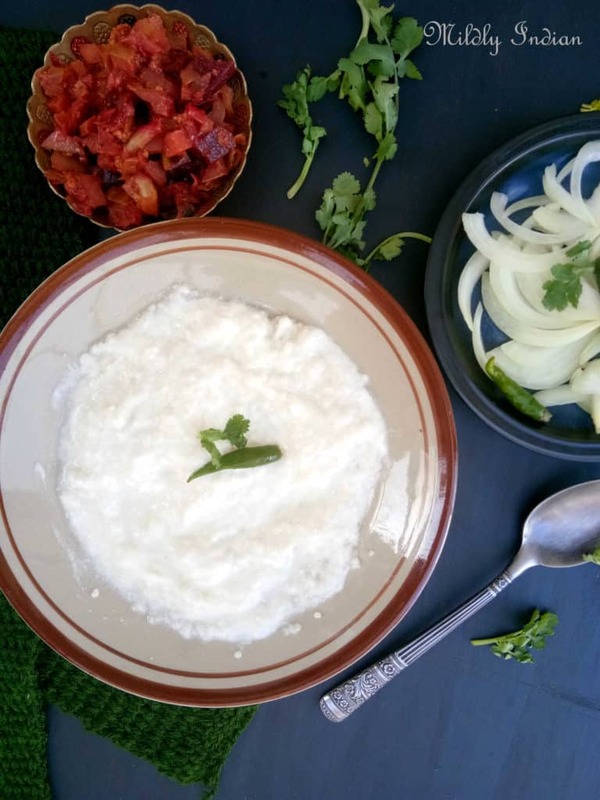 But I remember the smell of the curd rice… Just perfect to my nose. So now that’s my yardstick for a good thair saadam. Somehow it comes perfect with millets… And so its more often millets on the thaair Saadam recipe than rice. This recipe can provide energy nutrients and probiotics. It’s perfect for a super blazing day. Serve it up with side of warm salad, charred chilies and some roasted appalam (crispy papad). Kodo millet yogurt rice served with mixed vegetable stir fry, and fresh onion salad. Leaving a couple of more links on the millet recipes for you to browse through…. While I work on putting up more in this series. Set the millets in the pressure cooker with three time the water. Cover and let it cook for two whistles. Once the pressure is released fluff the millets and add to a large mixing bowl and set it to cool to room temperature. this will prevent the splitting of yogurt when added. Add in the yogurt and mix well. If it gets thick, add little more milk. Add salt,a pinch of asafoetida and mix well. If packing for a lunch box add in a bit of extra milk. So that it is a bit more runnier than the eating version, by lunchtime it would have become perfect. You could cook the millets in an open pot or a rice cooker too, just the way you cook rice. I like to use the pressure cooker for a faster result. You could additionally add a tempering of mustard, ginger slices, chillies and curry leaves to this or add grated carrots, pomegranate pearls or sliced grapes. 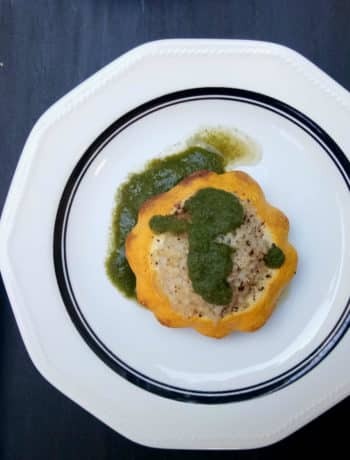 Stuffed patty squash with Mojo verde for a tapas spread.